The first “Cup Tree” was created at the Neue Porzellanfabrik, a porcelain factory in Triptis, Germany in 2014. Conceived as a single sculpture, it is composed of 200 painted cups installed on a tree-like structure designed by Arnie and fabricated at the factory. Arnie created a second cup tree at Neue Porzellanfabrik during a residency in June 2016, which he installed on a more organic, figurative-like structure. 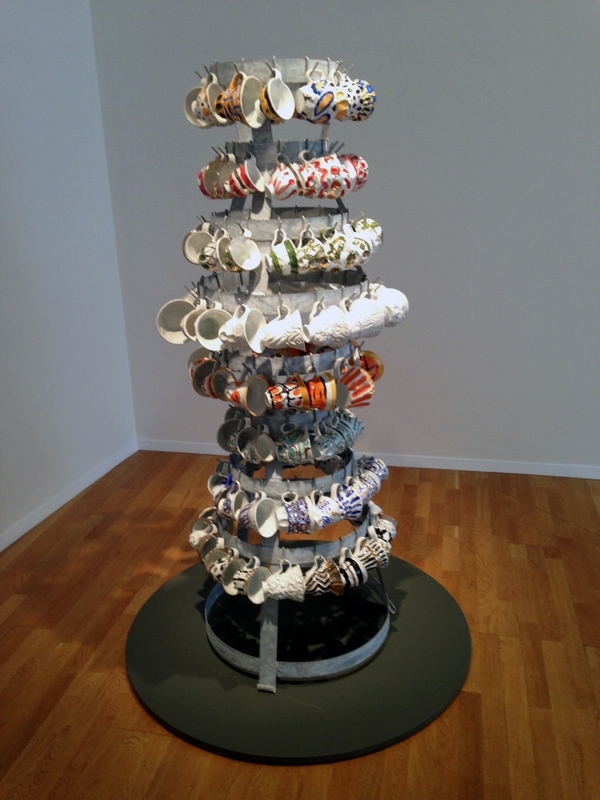 Also in 2016, Arnie built a cup tree at his Hudson studio which was exhibited at the Clay Art Center in Port Chester NY in Fall 2016.